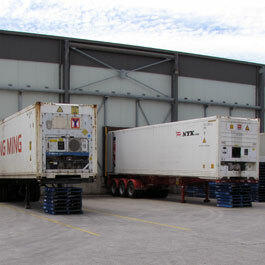 Austco Polar Cold Storage has the ability to load up to 15 containers per day at maximum. We average 8-10 Containers per day for our current client base. 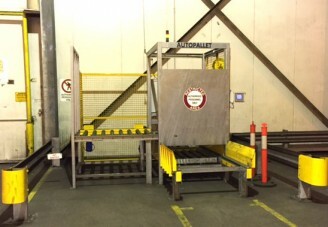 20-foot and 40-foot containers can be loaded using either manual labour stacking or the push-pull process via forklifts depending on customer and product requirements and configurations. We continue to work closely with transport companies to maintain a healthy working relationship and can assist in facilitating scheduling with the transport and logistics companies.